MarketWatch: What if President Donald Trump’s trade war leads to less protectionism and more global prosperity? Sharyl Atkisson - The Hill: What did Peter Strzok do? CTV: 2 more mayoral candidates killed in Mexico, 18 dead so far; is it any surprise U.S. wants to tighten border? The Federalist: Why does the press only seem to care about broken attachments for border-crossing children? Conrad Black - National Review: Trump Has Strengthened, Not Undermined, Democracy in the U.S.
Byron York - Washington Examiner: How did Peter Strzok's notorious text stay hidden so long? NBC News: Domestic or gang violence is not grounds for asylum, Sessions rules; "The asylum statute does not provide redress for all misfortune"
Steve Hilton - Fox News: Trump’s criticism of G7 is ‘unprecedented’ scream the elite -- That’s the whole point of Trump! 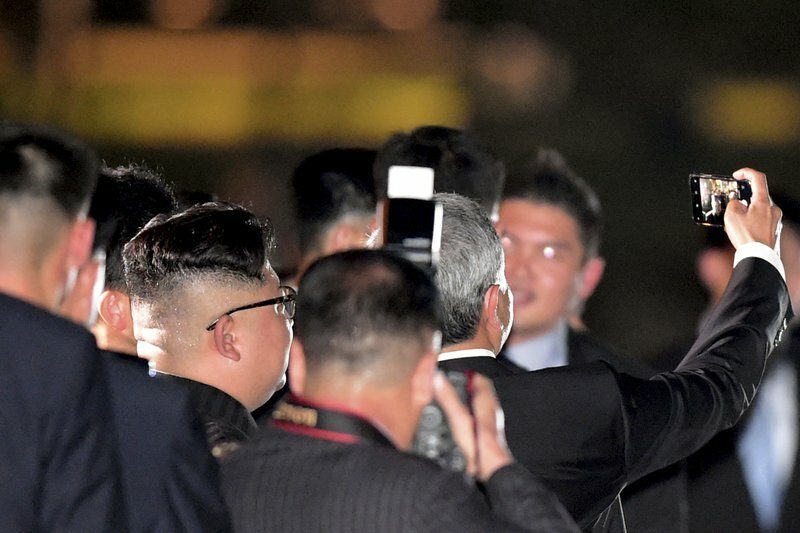 Global News: North Korea-U.S. summit: Who will pay for Kim Jong Un’s hotel bill in Singapore? 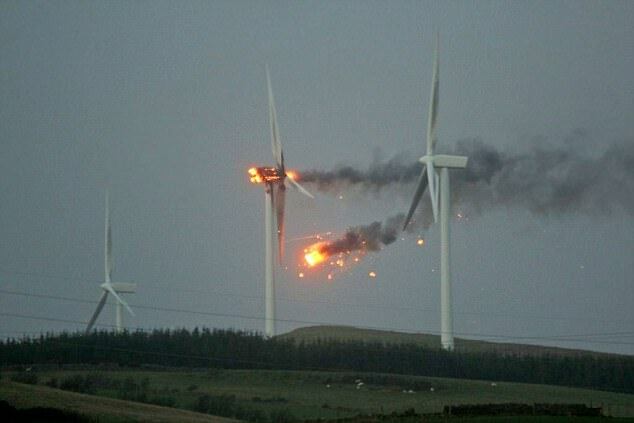 Forbes: If renewables are so great for the environment, why do they keep destroying it? 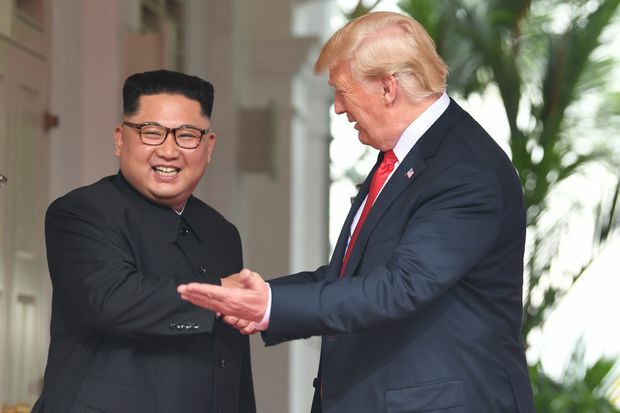 Baltimore Sun: Blame Hamas for border violence, not Israel or U.S.
TabletMag: Are NBC and CNN paying off top spies who leaked info with on-air jobs? Daily Beast: Trump might pardon Jack Johnson. Why didn’t Obama? CBC: What should the 'inevitable' regulation of Facebook look like? Techcrunch: Zuckerberg admits Facebook collects detailed data on non-users, too; a privately owned spook database? Washington Post: Texas’s official maternal mortality rate was unbelievably high. Now we know why. Bad paper work. 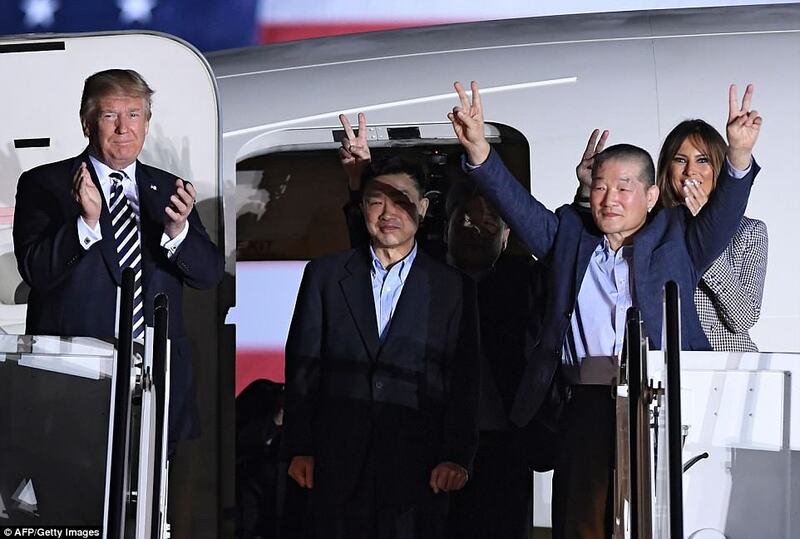 Jonathan Turley - The Hill: When will the media accept that Trump is not a criminal target? National Post: Can the CAQ fulfill its promise to break Quebec’s equalization dependency? from depths of Antarctica’s South Pole -- new physics? dare we dream of alcohol reform? Maxim: It's a bird... it's a plane.. it's a whale? Airbus just debuted the next generation of its Beluga transport airplanes, this one built six metres longer, one metre wider and at 30% more capacity to meet growing demand for large-scale transport of airplane parts. That ups its total capacity to six tons more than current Beluga models. The new BelugaXL had its first test flight in Toulouse, France, where it was debuted in its new livery — painted with the eyes and smile of a big white Arctic whale. The fire started under a vehicle as its hot exhaust ignited dry straw. The fire quickly spread, fully igniting 19 vehicles and partially damaging 15 others. Images shared by firefighters from the scene show multiple charred and blackened vehicles sitting in a scorched field. Firefighters said they had warned against using the field for parking because of the fire risk. The Windsor-Detroit Bridge Authority on Thursday named Bridging North America as the team that will build the Gordie Howe International Bridge over the Detroit River between Windsor and Detroit. It will be a cable-stayed bridge with the longest main span in North America at 853 meters (about 933 yards and with towers rivalling the height of the Renaissance Center in Detroit. It will have 125-year designed life span and bike lanes along the upriver side facing downtown. Now that the missing Thai soccer team has been found, the next step is determining how to get the boys and the coach safely out of a partly flooded cave in northern Thailand. The cave is huge but has many narrow passages that are underwater which even make it tough for expert scuba divers to get through with their tanks. The first task was to get food to the boys. Millions still seek out portions of the route to drive in an unhurried style without traffic jams and chaos. Editor's Note: If you have the time and the gas, it's an absolutely amazing travel route (often shared with I-40 and the amazing original Rte. 66 bypasses) to see and travel through the great southwestern USA -- in all the traverses I've made, I've never been short-changed by the scenery or by the friendly people along the way). Two amazing things happened in these six minutes: A leftist defended free speech, and a public intellectual admitted he might be wrong. 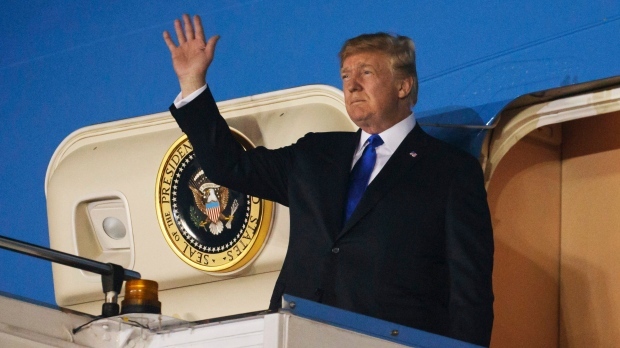 Lawrence Solomon - Financial Post: Mad at Trump’s tariffs? Atlantic: Converting air into cheap gasoline proof of concept operational in Squamish, B.C. 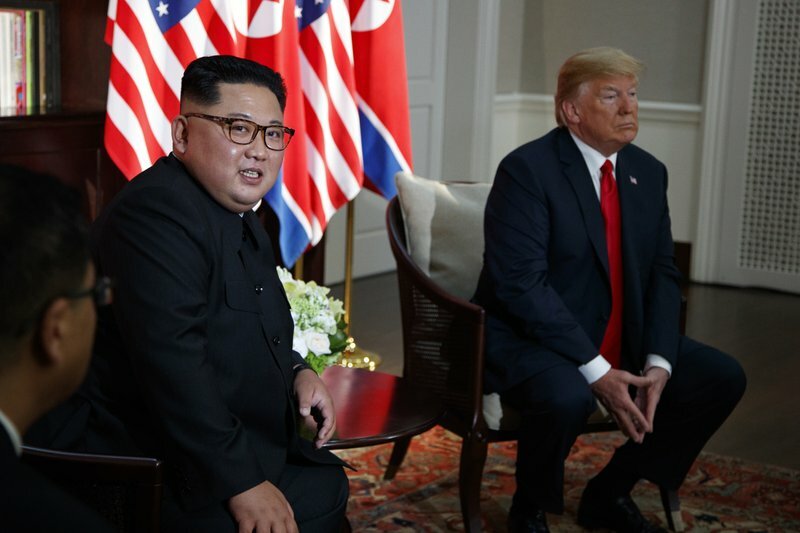 U.S. President Donald Trump gestures as he meets with North Korean leader Kim Jong-un at the start of their historic summit in Singapore on June 12, 2018. Toronto Sun: C'mon Ms. Horwath, what's the cost of Sanctuary Ontario? Not ready for prime time? 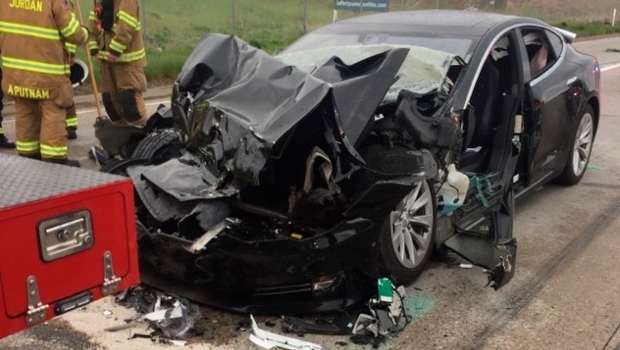 Tesla slams into fire truck at red light; was it on auto-pilot? Forum's April poll shows the Ontario PCs winning in 15 of Toronto's 25 ridings. They currently hold one Toronto seat. Esquire: The passion of Jordan Peterson; Is this middle-aged Canadian college professor the philosopher our times needs — or a dangerous anti-PC provocateur in tweed clothing? The encouragement that the 55-year-old psychology professor offers to his audiences takes the form of a challenge. To “take on the heaviest burden that you can bear.” To pursue a “voluntary confrontation with the tragedy and malevolence of being.” To seek a strenuous life spent “at the boundary between chaos and order.” Who dares speak of such things without nervous, self-protective irony? Without snickering self-effacement? 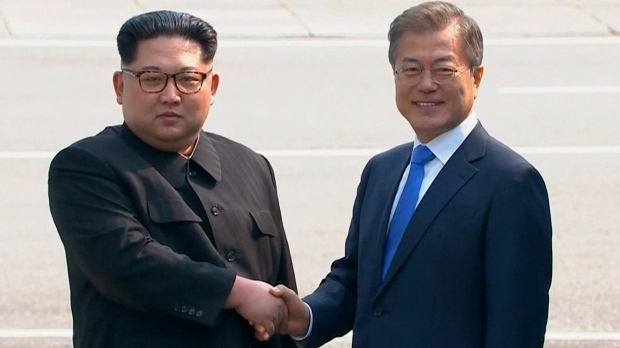 from beginning to end, the deal has been a disaster for the U.S.
With a single step over a weathered, cracked slab of concrete, North Korean leader Kim Jong Un made history Friday by crossing over the world's most heavily armed border to greet his rival, South Korean President Moon Jae-in, for talks on North Korea's nuclear weapons. 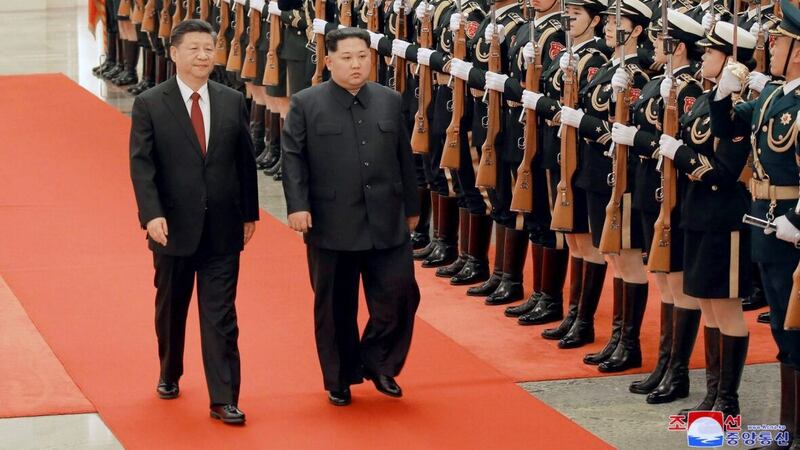 Kim then invited Moon to cross briefly north with him before they returned to the southern side. Death toll rises. Toronto police said the attack happened around 1 p.m. Monday in the area of Yonge Street and Finch Avenue. 'Then there was the dream of ‘carbon capture and storage’, for which Gordon Brown’s government offered £4B for companies to come up with a way of removing CO2 from the coal and gas used to make electricity, and then piping it away for burial in holes under the North Sea'. 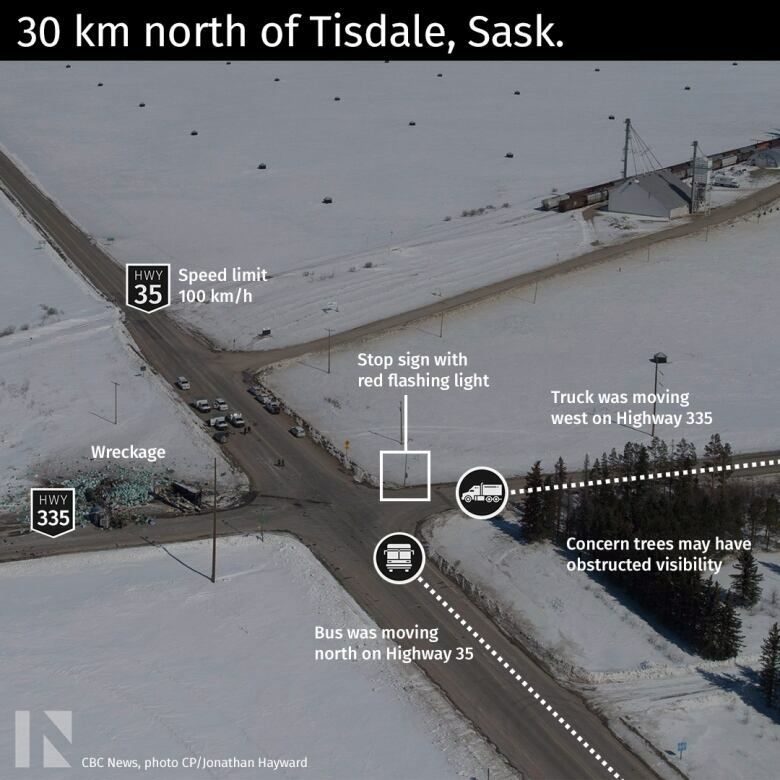 Global News: Humboldt Broncos deadly roadtrip: "semi-truck T-boned players’ bus"
"guzzling personal data so we can micro-target you with advertising"
SELL locally and to the entire World! to order the book that will literally change the way you think. Andrew Coyne - Regina Leader-Post: Why this crazy leap in the dark by Maxime Bernier? Editorial - Toronto Sun: Trudeau political with NAFTA? Say it ain't so! Global News: Trudeau says he ‘did not act inappropriately’ in latest comment on groping allegation; when will victim come forward? Gatestone Institute: Canada supports, infantilizes Jihadis; "Canadians who go abroad to commit terrorism – predominantly jihadists, in other words – have a "right to return" according to government documents obtained by Global News"
Kelly McParland - National Post: Why must Trudeaus always anger the west? No, really. What's up with that? National Post: Is an alleged groping by Trudeau in 2000 a #MeToo moment or better left swept under the Liberal privilege rug? CTV: Cannabis bill back to Senate after Liberals reject Senate amendments; stand-off in store? John Michael McGrath - TVO: Who were Ontario election night’s real winners and losers? CBC: Biting the political bullet, Wynne clears path for Liberals to campaign out of her shadow; last-ditch bid for coalition? Sue-Ann Levy - Toronto Sun: Andrea Horwath makes more excuses for offensive candidates; "NDP lunatics are already running the asylum"
Gord Henderson - Windsor Star: A Horwath government should be feared; "Horwath first loyalty is to labour movement and not to the taxpayers and certainly not to those — like students and public transit users — who get hung out to dry by marathon public sector strikes"
CBC: Trump threatens tariffs of up to 25% on all cars imported into U.S.
Susan Delacourt - Toronto Star: When it’s ‘time for a change,’ can anything change that? CBC: Armed Forces to help flood relief efforts in B.C. Dawson Creek Mirror: Notley reiterates threat to “turn off the taps” to B.C. Ontario election - Global News: How will Ontario’s parties tackle the massive provincial deficit? Mark Bonokoski - Toronto Sun: In Ontario "it is easier to get a medically-assisted death than a medical specialist, and easier to buy a handgun on the street than find a family doctor"
Kingston Whig-Standard: Canadian prison guards speak out against needle exchange program for coddling inmate drug abusers and infectious disease carriers "instead of investing in care and treatment"
CTV: Drivers fume as gas prices across Canada soar; high taxes blamed: "As prices go up, they go even higher here in Canada"
Editorial - Chatham This Week: Why is farmland near GTA more sacred?